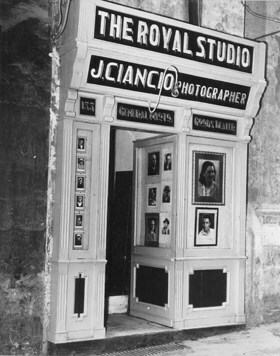 The Ciancio journey began with the first outlet called the Royal Studio, which was situated in Strait Street, Valletta, in what was then considered the social and economic hub of Malta.Originally a book binding company, John Ciancio’s passion for art led him to be one of the first people on the Island to begin to develop photography. Of course, this was not photography as we know it today. John Ciancio, was a pioneer of his time creating his photography by candle stick light and mixing raw chemicals, developing negatives on glass. All his work was by his own bare hands, until he found the perfect photo. His art was photography, and his photography was indeed his art. During the war, the Ciancio family fled Valletta and moved to Rabat. It was during this time that John Ciancio really founded the Ciancio name. Wedding photography, family portraits, famous actors (both local and foreign) important religious authorities and images of some of the most famous Maltese buildings, including the Manuel Theatre, were all captured by John Ciancio. He also mastered the art of retouching photography, retouching the negatives of all his photographs by hand. 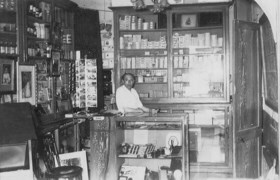 The company grew from strength to strength, and started to develop and print photographic color film in Valletta, with the Ciancio family continuing to deliver the highest quality photography and development. At the age of 19, Albert’s son Mario (2nd generation of the Ciancio Family) joined the business. Mario’s roots are steeped deep in the ink of photography, business and success with fond memories of having a dark room in his house as a child and his grandfather’s house filled with photography stock. The Royal Studio (1913) Co. Ltd, opened a bigger lab in B’kara and was one of the first (in typical Ciancio style) to offer a same day development and printing service of negative films on the Island as well as the developing of slide film. 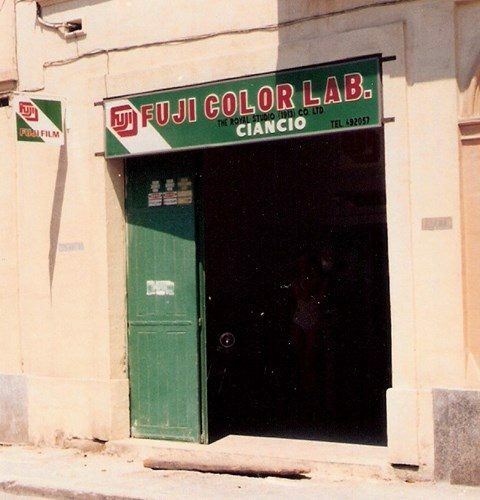 In 1986 Daniel De Bono joined The Royal Studio (1913) Co. Ltd as Sales and Marketing Director, while in 1987 a mini lab in Valetta was opened, to give a one-hour same day service, of developing and printing on location. In 1995 the company was re branded from The Royal Studio(1913) Co. Ltd to Ciancio (1913) Co. Ltd even though the company’s reputation and customer service level was sky high- but still, Mario felt the company could do more. 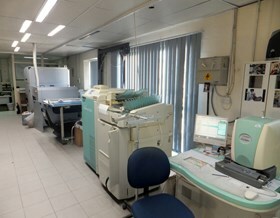 In 1995 the company opened the first digital lab in Malta, and employed 25 people in the lab only. 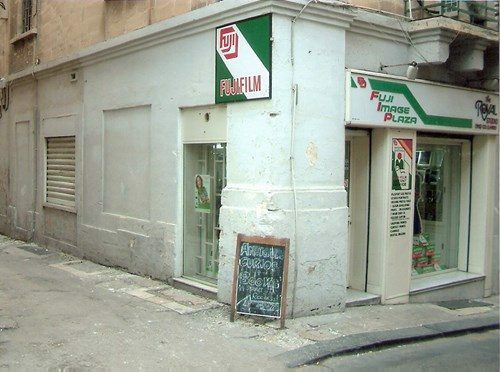 Furthermore, Ciancio (1913) Co. Ltd achieved a market share of 40% for all photographic prints in Malta, whilst printing photos from digital files and also further developed this service to bring it to the sterling quality it is today. In 2001, Ciancio (1913) Co. Ltd, felt the need to invest in a new 2000sq m building, to house its laboratory, stores and administrative offices to cope with the ever demanding needs and changes of digital technologies and services. It built CIANCIO HOUSE in Santa Venera, to house the labs, wholesale/retail of digital technologies, stores, and administrative offices including also a car park. Furthermore in 2002 the company bought a fully digital machine to print photographic prints up to a length of 4 meters, which were sourced from digital files. (Still the only one in Malta! 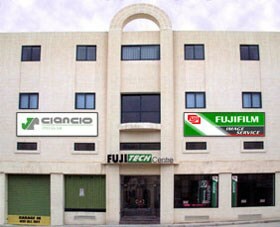 ), and started importing Digital cameras from Fujifilm in Japan. Furthermore, new after-sales and customer-care divisions were set up, in order to service the growing demand of this market sector. Today, Ciancio (1913) Co. Ltd has achieved a 38% market share in this sector. In 2008 Matthew, Mario’s son, (3rd generation of Ciancio (1913) Co. Ltd also joined the company, as the IT Manger. 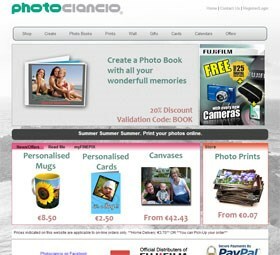 In 2009 the company started producing Digital Wedding Photo albums, and in 2010 the digital printing service was launched online, through its website www.photociancio.com. The management noted that by 2010, the trend had shifted, where people did not want to print from film any more, but wanted an alternative means of sharing their memories, through Photobooks, Calendars, Photo Gifts, Canvases etc, Having recognized this demand Ciancio (1913) Co. Ltd, embarked on yet another project to satisfy this demand, and this time the project was headed by Matthew, Mario’s son. Today, customers are able to print photos on many other items besides paper. Furthermore, we can safely say that we are market leaders in this sector and are also looking to increase our presence in overseas markets through the online site. In 2013, to celebrate its 100 years of tradition and sterling service, Ciancio (1913) Co. Ltd, launched its new photociancio.com website. New features include extensive integration to its growing presence on popular Social Media Networks such as Facebook, LinkedIn and Twitter. The new website also includes a new corporate section, which offers a wide range of printed personalized gift items, for corporate clients. 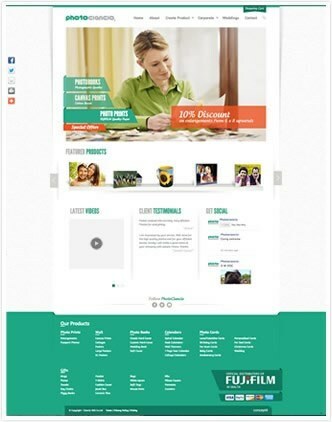 The aim of the company’s new online presence is to create a virtual community, which allows its customers to share their experiences online, using the company’s large range of products. There are many projects in the pipe line, and Ciancio (1913) Co. Ltd, is still in the diversification process, but Pandora’s box still has to be opened yet again in the very near future. However, the present service continues to evolve, and build on the success and experience founded on photography development and sales expertise, accumulated throughout all of Ciancio’s 100 year legacy.